Welcome to our newest Let's Play series! I'm diving into the end-all-be-all of roguelikes, a game you may have heard of but probably haven't played. NetHack has been around since 1987 as a descendant of Rogue, which a few games have taken inspiration from since then. 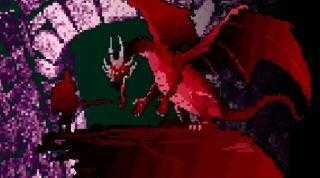 But where Rogue was a simple game that was expanded on in Hack and NetHack, NetHack hasn't spawned its own sequel: it's simply grown and grown and grown in complexity for nearly 30 years. In this episode: Wes and Jeremy go over some of the basics that will get you killed and save your bacon. Learn about curses and the power of prayer!